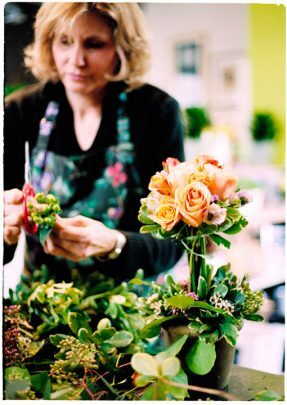 We are artists who use flowers as our materials, taking inspiration from the seasons and the landscape around us. 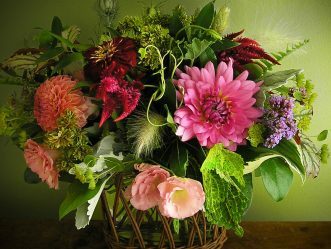 Blooming branches, viburnum and lilac in the spring; willow, zinnias and sunflowers during the heat of summer; bold dahlias, wild berries, and stunning foliage in the fall and winter. 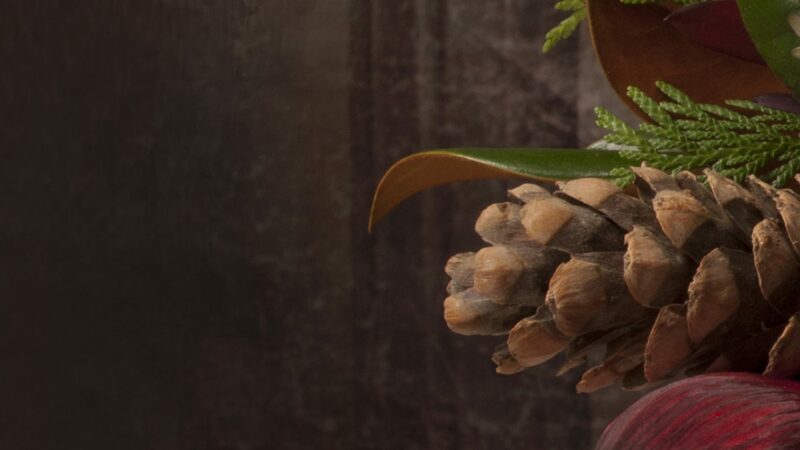 All of our arrangements reflect the character of the flowers and stems we have in hand, with natural colors as our palette and organic forms as our ingredients. 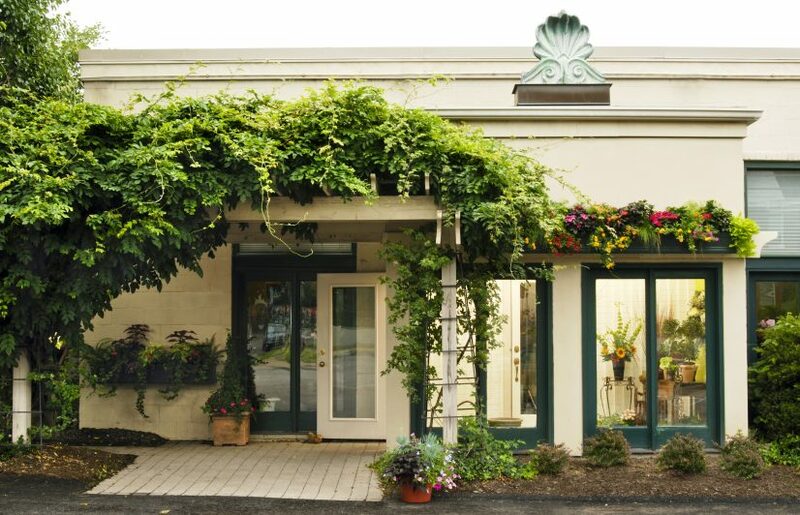 We are a local, woman-owned florist. 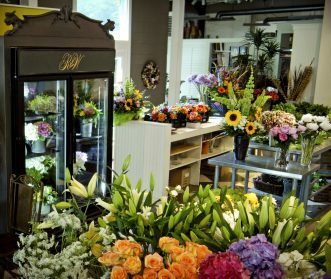 We prefer to purchase fresh flowers, foliage, stems, and herbs from area farmers, and hand pick our product from their buckets daily. 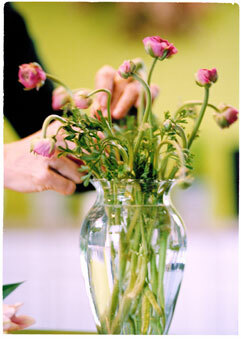 In season, fruits and vegetables along with berries and pods happily join in our arrangements. At Robin Wood Flowers, all of our green waste is hand carried to a local site for composting. 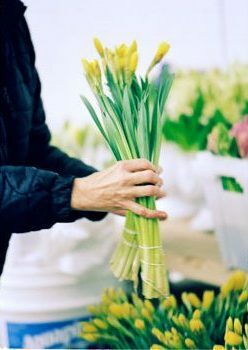 We encourage our customers to bring in their own containers, and reuse or return our vases, and we share our complimentary reusable shopping bags. For nearly two decades, Robin Wood was the "Voice of Cincinnati" to listeners of WEBN's weekday morning Dawn Patrol. After several years in television news, she decided to sign off the airwaves and open Robin Wood Flowers in 2001. 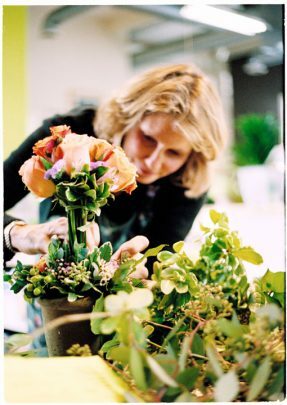 An avid gardener for as long as she can remember, she decided that a flower shop was a natural transition. Those early days in radio have paid off when it comes to sleep habits. “I come to work as early as I can possibly get my eyes open in the morning. I think it’s my hunting and gathering instinct. I can’t wait to see what has shown up in the markets overnight.” In warmer months, she picks blossoms from the fields at area flower farms, frequents local farm stands, and cuts treasures from her own Mt. Lookout garden for the shop.